Fill in your details below and we will let you know within 24 hours if we can get The Reckoners to you with haste! Ten years ago ... A mysterious burst in the sky gave ordinary men and women extraordinary powers. They're called EPICS. But, every Epic turned out to be EVIL. Today, in the city once known as Chicago, an all-powerful Epic named STEELHEART reigns supreme! Nobody fights back... nobody but THE RECKONERS! This is where you come in. 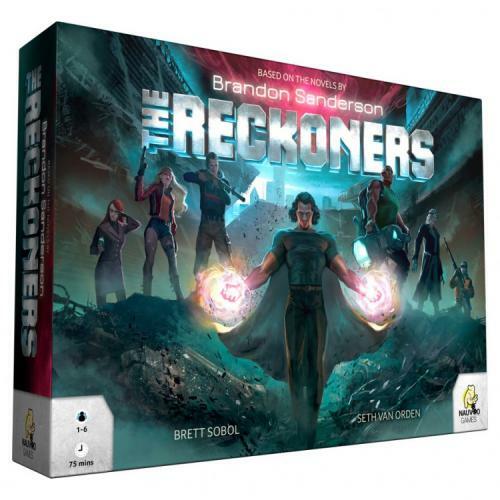 You are a member of the Reckoners, a skilled group of normal humans who assassinate Epics.